With her biological clock ticking loudly, Abigail, from Norwich, felt that she didn’t have time to wait for ‘Mr Right’ if she was going to have the baby she always wanted. Abigail first went to a fertility clinic in London for intrauterine insemination (IUI), a form of assisted conception treatment where prepared sperm is injected high into the womb at the time of ovulation. Over the next five years Abigail was to have three unsuccessful IUI attempts. “On the third attempt I miscarried, which was devastating. It was then that I decided to look into IVF as I knew it had a better success rate and I wasn’t getting any younger. 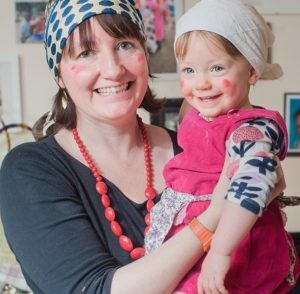 So in spring 2014 Abigail visited the Wymondham clinic for the first time. After her initial consultations and a fertility check, Abigail was given the anonymised profiles of sperm donors so that she could select one for her IVF treatment. She became pregnant first time. “Having miscarried before I was incredibly worried in the lead up to my first scan. In the end I went to the chemists to get a home pregnancy test. It was positive! I was crying with relief and joy. 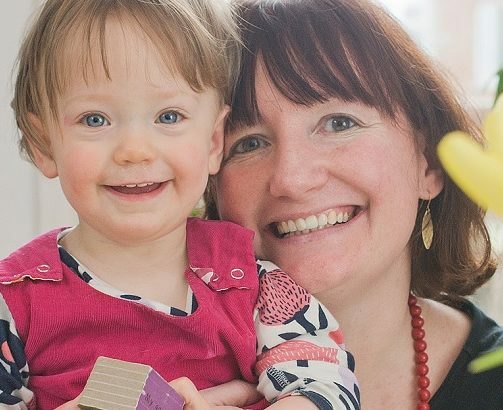 “A week later I returned to the Wymondham clinic for my official scan: I was over the moon when they confirmed I was pregnant. Baby Molly was born by caesarean on 11th October 2014. “I am delighted to have Molly, she is all I ever wanted. She is so beautiful and such a jolly little girl. “I named her after the traditional East Anglian dance, ‘molly dancing’. I love the dance and wanted her to be connected to it. “Bourn Hall was absolutely brilliant. I was so impressed and felt I got top quality treatment. I would recommend their fertility clinics to any single woman who is thinking of having a baby. To find out more about treatment using donated sperm, click here.